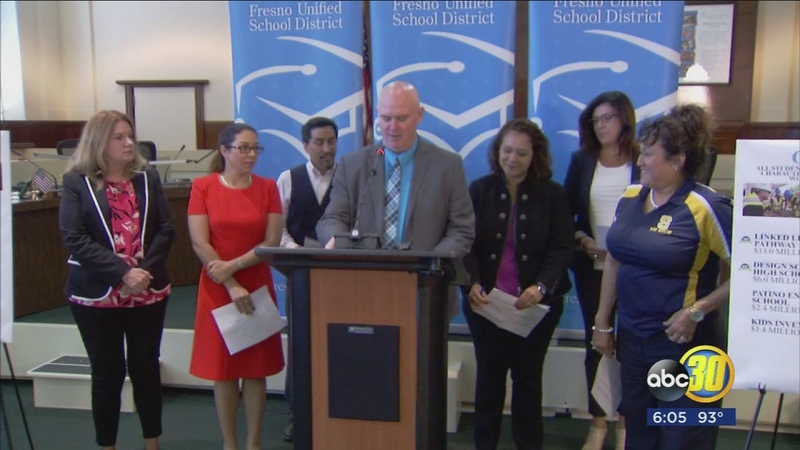 FRESNO, Calif. (KFSN) -- A budget of close to $1-billion for the Fresno Unified School District has been unanimously approved by district leaders. Almost all trustees used one word to describe how they are feeling about what's to come-- excited. "One of the things that's really new and unique is the effort to kind of address the needs of the whole child this year. One of the things that we've talked about is putting a lot of money into social emotional supports," said Bob Nelson, FUSD Interim Superintendent. Nelson said the budget has reached their goals to provide for all students and increases the numbers of social workers and counselors. The district said library tutoring will also be extended, and so will school days in some areas of high poverty. Focusing on students overall well-being also means $4.6-millions to expand health services. The district said every school will have a certified healthcare professional full time five days a week. And with parental consent, students can be treated as a part of their school day. "We're actually building health clinics co-mingled with our school population so that our kids have immediate access to healthcare right on site so they don't need to stop, take a day off school go to a doctor's appointment," said Nelson. An additional $5-million will also help the district become one of the few with all compressed natural gas busses-- helping students with asthma, and the environment. A million dollars will also go to dual immersion programs providing students the opportunity to become bilingual and bicultural. They are also working on launching a new curriculum, aside from English and Spanish. "We hope to be the very first major urban district that offers English and Hmong so that students can be bilingual, bicultural, bi-fluent," said Nelson. With $13-million for career technical education, and connecting the classroom to job opportunities, the district hopes this budget keeps their 74,000 students reaching record graduation rates.